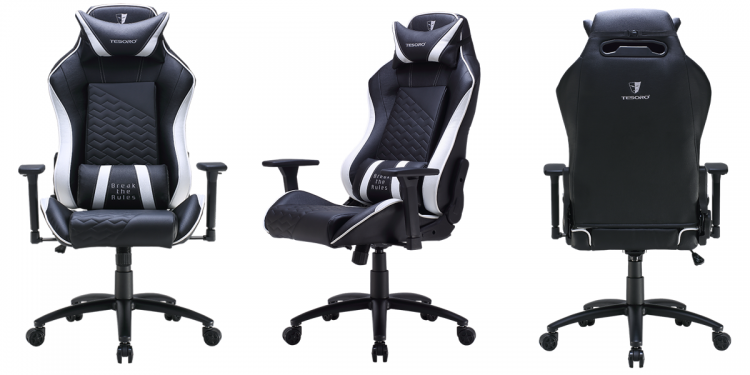 Tesoro opens a new line of products with its Zone Balance professional gaming chairs. 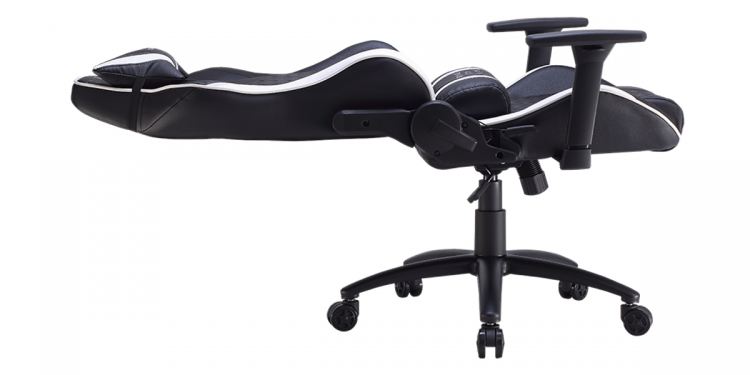 The Zone Balance gaming chairs combines a unique design with comfort and versatility. Tesoro intricately chose premium materials for the Zone Balance gaming chairs that offers excellent durability with a true ergonomic design. The Tesoro Zone Balance uses a solid steel frame to provide stability and sturdiness. It also uses a high-density core form covered with polyurethane faux leather with offers durability and water resistance. The base of the Zone Balance gaming chair includes a durable steel 5-star base for maximum load support and smooth gliding on any surface. The Zone Balance is also packed with features that aims to provide comfort and aid good posture for good health. It has shoulder, neck and lumbar support for superior comfort even for long hours of gaming. The Tesoro Zone Balance also has a heightened backrest with adjustable lumber and head cushions along with the adjustable armrest to support arm and reduce fatigue. The Zone Balance gaming chair has a 180-degree adjustable back and features class-4 gas pistons for height adjustments. 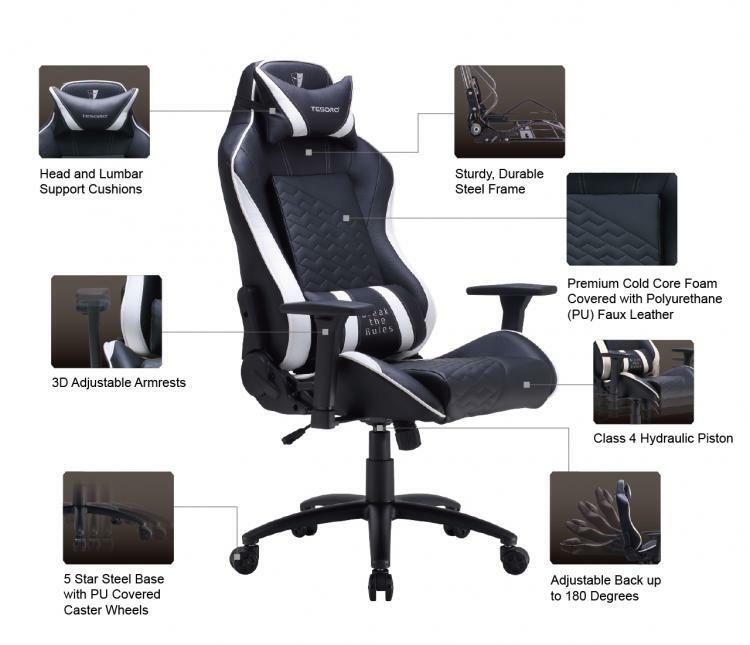 All of these features make the Tesoro Zone Balance a comfortable and luxurious gaming chair at an attractive price. The Zone Balance is available in black/red. black/white, and black/black color options. Visit the Tesoro website for more details on the Zone Balance gaming chairs.